This past week, more than 30,000 neuroscientists convened in New Orleans for the annual Society for Neuroscience meeting. Here are some of their interesting (unpublished) findings on Rett Syndrome. Recent progress in genetic engineering has made it possible to model Rett Syndrome in rats – whose behavior is easier to study than mice. Researchers led by Richard Paylor from the Baylor College of Medicine in Houston, Texas, designed a set of behavioral tests to capture the animals’ social interest, anxiety, vocalizations and sensory and motor abilities. The team found that male rats whose Mecp2 (the gene that is missing or mutated in girls with Rett Syndrome) is disrupted were less active, showed impairments in a memory task, and behaved in a way that suggested they have disrupted connections between sensory and motor brain areas. Researchers administered a full-length version of insulin-like growth factor 1 (IGF-1) — which is now under clinical investigation for treating Rett Syndrome — to mice lacking Mecp2. This particular form of IGF-1 boosted neuron-to-neuron signaling and the ability of neural connections to change in strength, compared with untreated mutant mice. According to a report by SFARI.org, however, treatment did not improve mutant mice’s performance on a task of motor coordination and learning. In a separate study of mutant mice, led by Jeffrey Neul’s team at Baylor, scientists administered a slow-release form of IGF-1, or PEG-IGF1, finding that it only slightly lengthened lifespan but did not improve heart rate, body temperature, breathing, motor function, or behavior. And a higher dose of PEG-IGF1 cut the lifespan of mice, the group found. Neul is planning a clinical trial in adult women with Rett with a shorter, tripeptide form of IGF-1, which in 2009 scientists found delayed the onset of several symptoms of the disorder in a mouse model. In 2010, Huda Zoghbi and her colleagues at Baylor showed that neurons that dampen brain signals through their production of the inhibitory chemical GABA (gamma-aminobutyric acid) play an important role in the development of Rett. For a preliminary study presented this week, Zoghbi’s group found that reactivating Mecp2 expression exclusively in GABA neurons well into adulthood (6 and 9 weeks) improved two symptoms of Rett — obesity and ataxia — in male mice missing Mecp2. Her group is also measuring cognitive and breathing symptoms after selectively reactivating the gene in GABA neurons. Alysson Muotri at the Scripps Research Institute in La Jolla and his collaborators took cells from human males with Rett and converted them into induced pluripotent stem (iPS) cells, which have the ability to form any other cell in the body. The group found that several molecular signaling pathways differ between the iPS cells of healthy people and individuals with Rett as their cells begin to form neurons. These early changes may underlie neuronal features of Rett. The scientists are working to validate the biochemistry, but report that the new findings suggest that iPS cells derived from people with Rett may help identify new drug targets. Two years ago, researchers from the Barrow Neurological Institute in Phoenix, Arizona, described a new Mecp2 mouse — the A140V model —that reproduces a point mutation (meaning a single “letter” of the DNA code is replaced). Male mice with the mutation survive, though they have X-linked mental retardation and show some brain abnormalities — such as less intricate neuronal branching and more tightly packed cells – compared with healthy mice. Unlike other mutants, however, the A140V has a normal lifespan and weight gain and no seizures or trouble breathing. The same group presented a detailed protocol to characterize the shape and size of brain cells of female mice that carry the mutation. David Katz Interview from RSRT on Vimeo. After stem cells were initially isolated from mice, Yamanaka’s team found four genes that, in combination, could be introduced to adult cells to turn them into embryonic-like cells. The resulting so-called induced pluripotent stem (iPS) cells could in turn be coaxed into mature cell types such as neurons and gut cells. 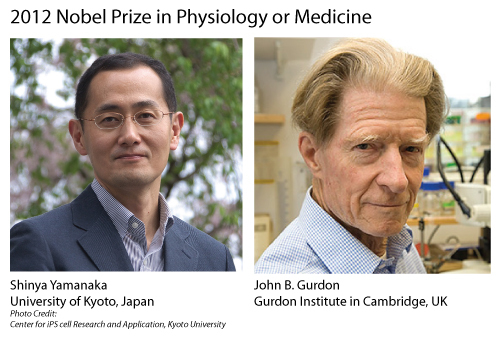 Yamanaka’s findings, published in 2006, gave way to new cell-based models diabetes, Parkinson’s disease, and other disorders. Yamanaka’s reprogramming technique has also allowed researchers to study the early development of neurons derived from people with Rett syndrome. In 2010, Alysson Muotri’s research group at the University of California, San Diego, turned skin cells from people with Rett into pluripotent stem cells using Yamanaka’s methods. “The data is already revealing a new biology,” writes Muotri in an email. The group has uncovered differences between human Rett neurons and those derived from animal models of the disorder, for example. “I believe this is a complementary new tool that will allow us to understand the molecular and cellular mechanism leading to the Rett condition,” he adds. Importantly, Yamanaka’s fundamental discovery and the subsequent iPS cell work on Rett syndrome will also speed drug discovery, by allowing researchers to test candidate medicines directly on human neurons, Muotri says. Yamanaka’s winning the prize was “well deserved,” he adds.